For many homeowners, finding rodents in the home can be a very terrifying experience. They are much larger than most insects, they have far greater mobility and have instincts comparable to house pets like the dog or cat. The rat is slightly larger than the mouse, however, and it is important to establish which kind of rodent that you are living with in order to choose the right course of action. Should I Catch A Rat with A Mouse Trap? Of course, one of the most popular ways of catching and subduing mice is using mouse traps. The one problem with mouse traps is that they are only designed to catch mice. That high-velocity bar can kill a mouse with one swift motion. Rats, however, weigh much more than mice. That bar can clamp down on the rat, but the worst it could possibly do is pinch its skin. A rat should not be expected to die from a mouse trap, and it can walk away while still caught in it. Sure, it is possible that it will eventually die due to injuries, but it is for the best that it dies where you originally placed the trap. If you cannot find the rat’s corpse soon enough, it will start to smell badly. What Can I Do Instead to Catch A Rat? There are many alternatives for catching a rat effectively, and some don’t even kill the rat, but just trap it. Firstly, a rat-sized trap with a clamp can kill rats. These are bigger, stronger traps that can also break somebody’s toes, so if this option appeals to you, be sure you place it in an area where nobody is walking. CO2 traps also exist. These involve a pressurized piston delivering a swift blow to the rat’s head when it sticks it inside. This is a far less savage way of killing the rat. If you do not want to kill the rat at all, there are walk-in traps that you can buy. When the rat walks into the trap, it activates the door and locks it inside. This requires you to take the trap to the wilderness in order to release the rat, but many consider it to be a fair tradeoff for not having to deal with a dead corpse later on. 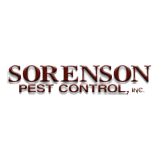 Finally, you can call the experts at Sorenson Pest Control for rat problems and much more. We serve families in over a dozen different cities in Northern California and have managed a wonderful reputation for over 30 years. For more details, contact us.